Druidry is a lively and growing phenomenon, so any list is by its nature incomplete. Suggestions for additions and emendations are welcome, particularly for figures and organizations in non-English-language traditions (Breton, Dutch, French, German, Spanish, etc. ), who are often less well known. Included in the rosters of groups and people below are references and links to several of the most visible and influential Druid organizations active today. Visits to their websites can provide an additional and useful sense of the directions and emphases of Druidry today. Like many things that should go without saying but which need to be stated and repeated explicitly nowadays, please use common sense and discretion when investigating or contacting any school, teaching, teacher, etc. The inclusion of a link on this page or anywhere on this site is not an endorsement of a group, an individual or a course of training. Follow your own judgment, needs, inner guidance and resources. • British Druid Order/BDO — founded in 1979. Wikipedia page. • Order of Bards, Ovates and Druids/OBOD — founded in 1964/refounded in 1988. Wikipedia page. • Ancient Order of Druids in America/AODA — founded in 1912. • Ár nDraíocht Féin/A Druid Fellowship/ADF — founded in 1983. Wikipedia page. • Henge of Keltria — int’l Druid order founded in 1988. Wikipedia page. • Kredenn Geltiek Hollvedel (Celtic Creed of the World) — French group in Brittany. Wikipedia page (in English). • Reformed Druids of North America/RDNA — founded in 1963. Wikipedia page. • The Druid Order — “contemporary fraternal Druid order”, founded 1909. Wikipedia page. Dana’s interactive map of 250+ Druid groups in 5 countries. 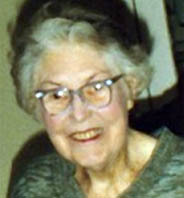 Adler, “an American author, journalist, lecturer, Wiccan priestess and radio journalist and correspondent for National Public Radio (NPR)” according to the Wikipedia entry, is cited here for her widely-read Drawing Down the Moon (1997; rev. 2006). Its full title better conveys its range: Drawing Down the Moon: Witches, Druids, Goddess-Worshippers, and Other Pagans in America Today. 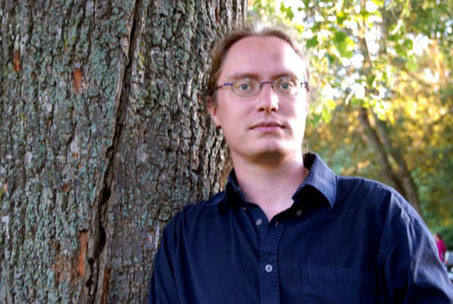 Best known for his widely-read blog, Under the Ancient Oaks: Musings of a Pagan, Druid and Unitarian Universalist, John is a frequent presenter at Pagan and Druid events, a devotee of Cernunnos, and the author of The Path of Paganism: An Experience-Based Guide to Modern Pagan Practice (2017). An OBOD Druid as well as a member of ADF, John is a voice of reason and careful reflection as well as obvious knowledge and passion for his spiritual path. Carr-Gomm is the author of many books, including The Book of English Magic (with Richard Heygate), The Druid Plant Oracle (with Stephanie Carr-Gomm), Druid Mysteries: Ancient Wisdom for the 21st Century (a short and readable intro to Druidry), and In the Grove of the Druids: The Druid Teachings of Ross Nichols (OBOD founder). Chapman, author and founder of the Tolkien Society, served as first Pendragon of OBOD for nearly three decades. 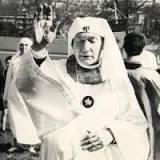 She was also a member of the Ancient Druid Order, and the Kibbo Kift Kindred. She began writing in her late 70s, and lived to nearly 100. Her titles include The Green Knight (1975), King Arthur’s Daughter (1976), The King’s Damosel (1976), Judy and Julia (1977), Blaedud the Birdman (1978), The Wife of Bath (1978), Miranty and the Alchemist (1983), and The Enchantresses (1998). 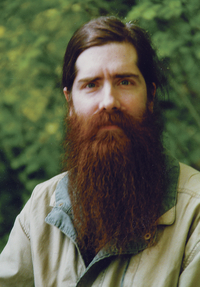 Corrigan, according to his Lulu bio, “has been teaching, learning, singing and playing in the American Neopagan movement since 1976. 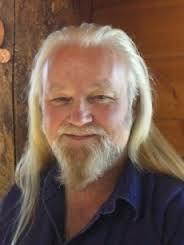 He has decades of experience in a variety of occult, pagan and magical topics. 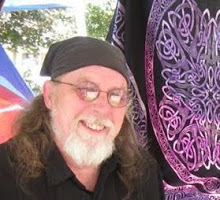 Having received his 3rd degree initiation in Celtic Traditional Wicca in the early 80s, Ian has led eclectic study groups, a traditional Wiccan coven and a Druid Grove. 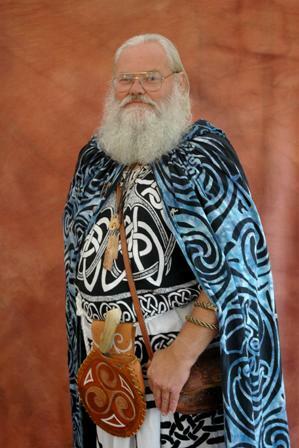 Ian has been well-known for decades at Pagan festivals as a bard, ritualist and teacher. Corrigan is the author, among other titles, of Sacred Fire, Holy Well: A Druid’s Grimoire; The Book of Summoning: A Grammary of Pagan Spirit-Art; The Book of Nine Moons; Draiocht: A Primer of Celtic Sorcery; Toward a Pagan Mysticism. Ellison is an author, former Archdruid of ADF (2001-2010), liturgist, and retired industrial electrician. His four books are The Wheel of the Year at Muin Mound Grove ADF: A Cycle of Druid Rituals; The Divine Liver — The Art and Science of Haruspicy as Practiced by the Etruscans and Romans; The Druids’ Alphabet: What Do We Know About the Oghams? ; and The Solitary Druid: Walking the Path of Wisdom and Spirit. Her books include Kindling the Celtic Spirit (2001) and Grail Alchemy: Initiation through the Celtic Mystery Tradition (2013). 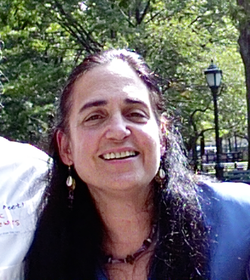 She has taught at Omega Institute, NY; Naropa University, CO; and the University of California in Santa Cruz. A resident of Wales, she leads Celtic retreats and pilgrimages. 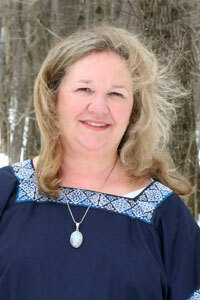 She founded Avalon Mystery School, a three-year home study program, and is a qualified psychologist and astrologer. 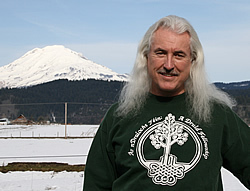 Greer is a writer, blogger, conservationist, hermeticist, gardener, modern reviver and archdruid emeritus of the Ancient Order of Druids in America (AODA), and founder and leader of the Druidical Order of the Golden Dawn. 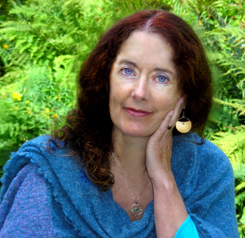 Author of over 20 books, and of the (archived) lively, influential and widely-read weekly blog, The Archdruid Report, Greer has written extensively on magic and sustainability. Among his numerous titles are Circles of Power: Ritual Magic in the Western Tradition; Inside a Magical Lodge; A World Full of Gods; The Druidry Handbook; The Long Descent: A User’s Guide to the End of the Industrial Age; The Wealth of Nature: Economics As If Survival Mattered; The Celtic Golden Dawn; The Ecotechnic Future: Envisioning a Post-Peak World; Mystery Teachings from the Living Earth: An Introduction to Spiritual Ecology; Green Wizardry; and Not the Future We Ordered: The Psychology of Peak Oil and the Myth of Eternal Progress. Hopman is an “author of both fiction and non-fiction, an herbalist, a lay homeopath, a lecturer, and a mental health counselor who lives who lives and works” in Massachusetts, according to Wikipedia. Kristoffer Hughes, as his website notes, “is a native Welsh speaker, born to a Welsh family in the mountains of Snowdonia in 1971. He lives on the Island of Anglesey, Wales, the ancestral seat of the British Druids. His love of Celtic literature and traditions guided his path into the exploration and practice of Celtic paganism. 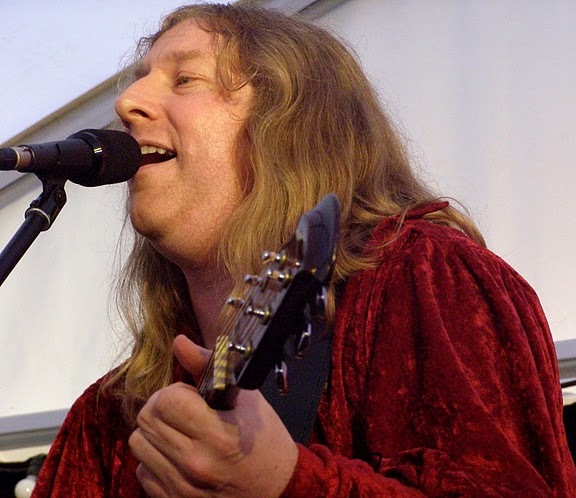 He is the founder and Head of the Anglesey Druid Order/Urdd Derwyddon Mon, and studies with the Order of Bards, Ovates and Druids. In 2012 he was awarded the Mount Haemus Scholarship for original research in Druidism and related subjects. 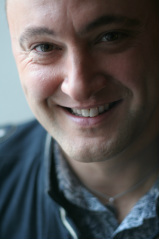 Hughes frequently presents workshops and lectures throughout the United Kingdom. Among his books are The Celtic Tarot, The Cauldron Born: Exploring the Magic of Welsh Legend and Lore; The Journey Into Spirit: A Pagan’s Perspective On Death, Dying and Bereavement; and Natural Druidry. Hutton is professor of history at the University of Bristol and author of over a dozen books on British folklore, early history and Paganism. 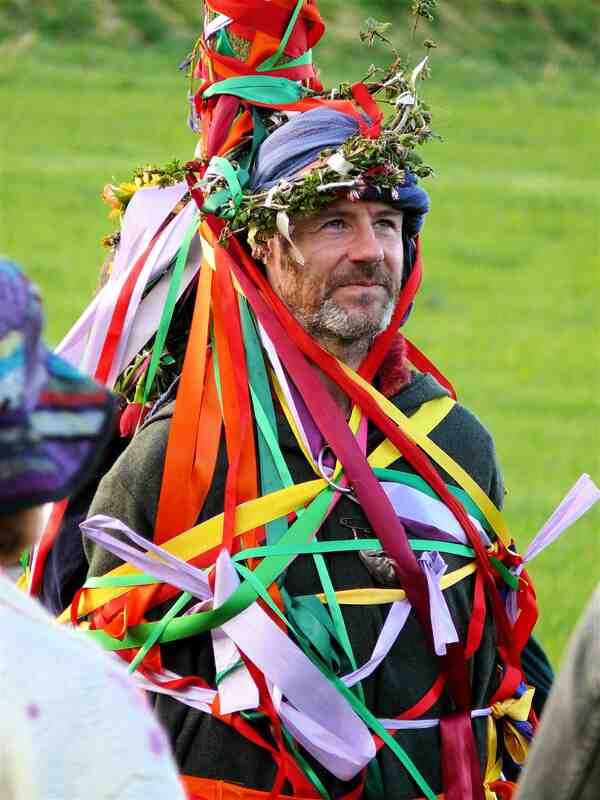 Recently elected Fellow of the British Academy, he is a frequent presenter at both academic and Pagan venues. 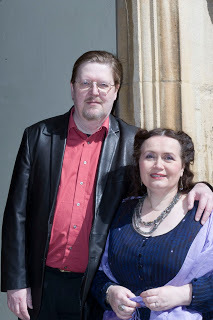 John and Caitlin Matthews are British authors who, according to their Wikipedia page, “have written over 150 books, translated into more than thirty languages, including Tarot packs, a card-based storytelling system, screenplays, songs and other works.” They are also “active on the New Age workshop circuit, teaching their versions of the Celtic mysteries, Neo-Shamanism, the Goddess and King Arthur.” Among John’s books are The Grail: Quest for the Eternal; The Celtic Shaman; Taliesin: Shamanism and the Bardic Mysteries in Britain and Ireland; King Arthur: From Dark Age Warrior to Mythic Hero; The Grail Seeker’s Companion; The Wildwood Tarot; The Lost Tarot of Nostradamus; and The Camelot Oracle. Caitlin has authored Mabon and the Mysteries of Britain: An Exploration of the Mabinogion; The Elements of the Goddess; The Elements of Celtic Tradition; Celtic Wisdom Sticks: An Ogham Oracle; Sophia, The Bride of God; Singing the Soul Back Home: Shamanic Wisdom for Every Day; The Psychic Protection Handbook: Powerful Protection for Uncertain Times; and Celtic Visions: Seership, Omens and Dreams of the Otherworld, among other titles. Myers writes both non-fiction and fiction. A selection of his titles includes Dangerous Religion: Environmental Spirituality And Its Activist Dimension (2004); The Mysteries of Druidry: Celtic Mysticism, Theory, and Practice (2006);The Other Side of Virtue: Where Our Virtues Really Came from, What They Really Mean, and Where They Might Be Taking Us (2008); Pagan Testament: The Literary Heritage of the World’s Oldest New Religion (2008); Loneliness and Revelation: A Study of the Sacred Part One (2010); Circles of Meaning, Labyrinths of Fear: The 22 Relationships of a Spiritual Life and Culture ~ And Why They Need Protection (2012); and Clear and Present Thinking: A Handbook in Logic and Rationality (2013). Nichols, also known by his Druid name, Nuinn, was a poet, educator and founder of The Order of Bards, Ovates and Druids (OBOD). The OBOD page on him notes that he was “one of the key figures in the revival of interest in Celtic Spirituality and Druidry in modern times. In 1964, Nichols, a Cambridge academic and published poet, became Chief of The Order of Bards, Ovates & Druids, and from that time, he wrote prolifically on the subjects of Druidism and Celtic mythology. A more extensive biography may be found here. 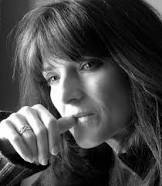 Orr, also known by her Druid name Bobcat, is an author and poet, and for almost a decade was joint chief of the British Druid Order with Philip Shallcrass (see below). She founded The Druid Network and Honouring the Ancient Dead. Among her numerous books are Spirits of the Sacred Grove (2014) — republication of Principles of Druidry (1998); The Wakeful World: Animism, Mind and the Self in Nature (2012); Kissing the Hag : The Dark Goddess and the Unacceptable Nature of Woman (2009); Living with Honour: A Pagan Ethics (2008); The Apple and the Thorn (with Bill Melnyk) (2007); Living Druidry: Magical Spirituality for the Wild Soul (2004); Druidry: Rekindling the Sacred Fire (with Philip Shallcrass) (2002); Druid Priestess (2000); Ritual: A Guide to Life, Love and Inspiration (2000); Druidry (2000); Principles of Druidry (1998). 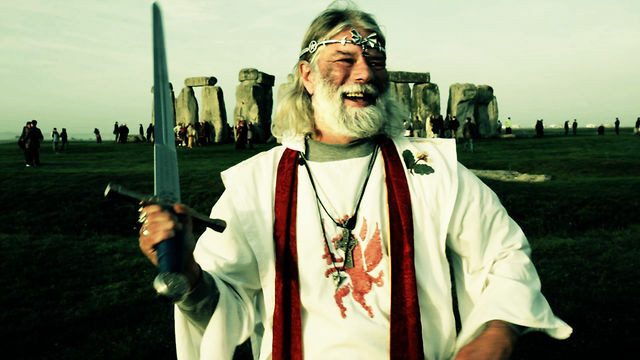 One of the more colorful and visible figures of Modern Druidry, Pendragon is, to quote Wikipedia, an “English eco-campaigner, Neo-Druid leader, media personality, and self-declared reincarnation of King Arthur,” after a legal name change. He is perhaps best known for his legal battles with English Heritage (custodian of such sites as Stonehenge), regarding their exclusionary policies restricting public access. He has also contested the treatment of ancient human remains discovered near Stonehenge, petitioning the government for their respectful reburial. Disputes about poll taxes and the right to wear his chosen regalia have also garnered headlines and in some cases brought about legal changes. 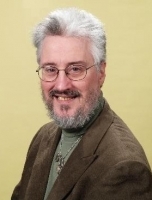 Adapted from an older Keltria website entry: Former archdruid Karl Schlotterbeck, MA, CAS, is a longtime student of the Druid way (including the Druid grade of OBOD), a shaman, drummer, and licensed psychologist. He was elected to the Councel of Elders in 2003 and selected as Archdruid in July of 2009. Karl was reelected in 2012 for another nine-year term. The BDO page offers a timeline of the development of BDO principles and influences, documenting Shallcrass’s experiences with Native American and other shamanic spiritualities. His genial personality, stage presence and singable tunes have made him a very popular performer worldwide. In addition, his regular Druidcast podcast features music, interviews, talks and other things both Pagan and Druidic. 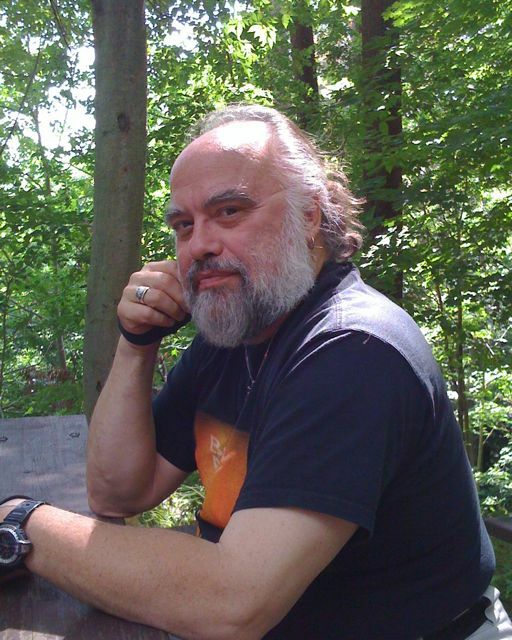 Stewart is an author of over 40 titles, musician, magician and teacher — his influence on Druidry lies in his work in magic, particularly in the Underworld, faery and Western Hermetic traditions. According to the biographical notes on his website, “In 1996 R.J. was admitted to the USA as ‘resident alien of extraordinary ability,’ a category awarded only to immigrants of outstanding achievement in the arts or sciences. He now lives in the Pacific North West and in Glastonbury. Whiddon is the founder of the 250-acre Four Quarters Interfaith Sanctuary, located in the rolling hill country of south central Pennsylvania, U.S., just a few miles from the Maryland border. honor the many world traditions that reflect an Earth Based Spirituality, and we work to support those traditions and welcome their people. We do not teach “One Way” of belief. We do not have “The Answer”. We do have good questions.